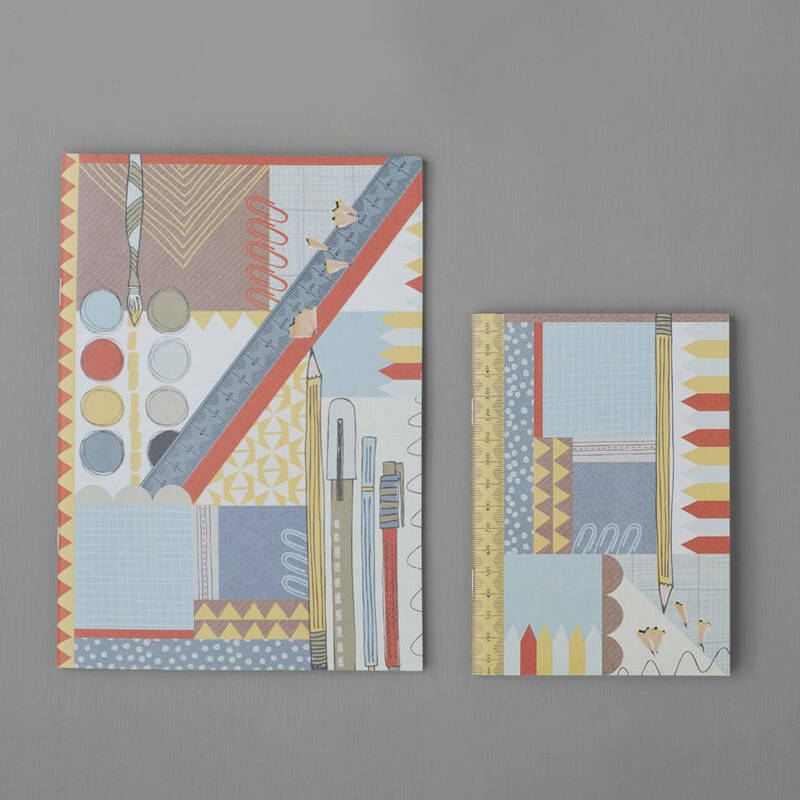 A fun and colourful set of notebooks in A5 and A6. These playful designs are perfect for doodles and drawings. The cover of each of these 100% recycled notebooks is nice and thick at 300gsm, with the design printed on the front and back. Each notebook includes 36 blank pages for your notes, doodles or drawings. 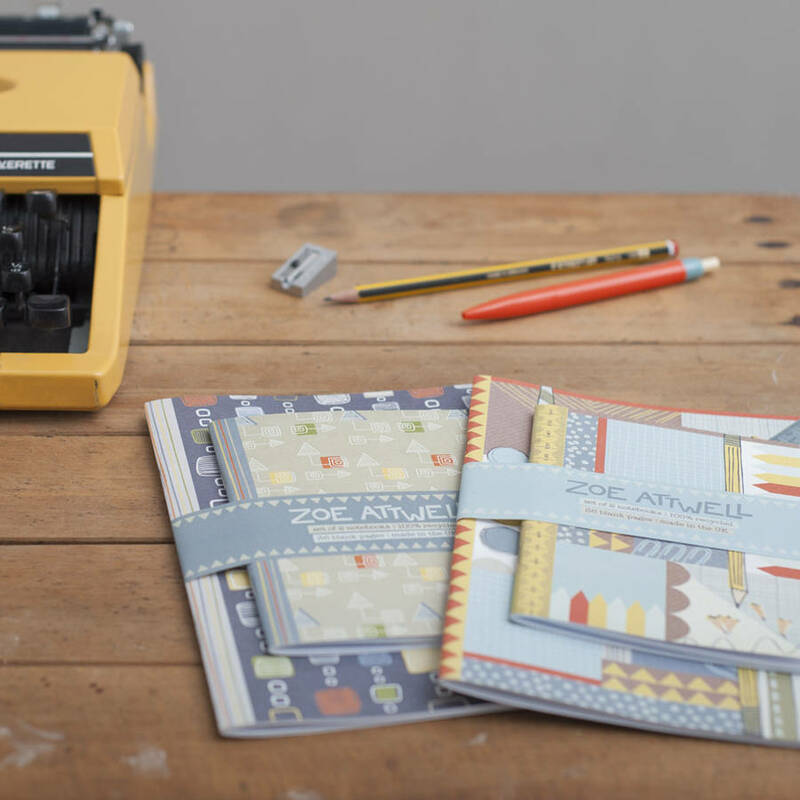 This notebook set would make a lovely gift for little kids and big kids alike, or why not treat yourself! Designed and printed in the UK to a high standard. 10 sets of designs available. 100% recycled paper. Cover weight: 300gsm. Each notebook contains 36 blank pages, and is stitched (stapled) twice. The 2 notebooks are bound together with a 100% recycled printed paper band. Each pack comes wrapped in a clear cello bag for protection. 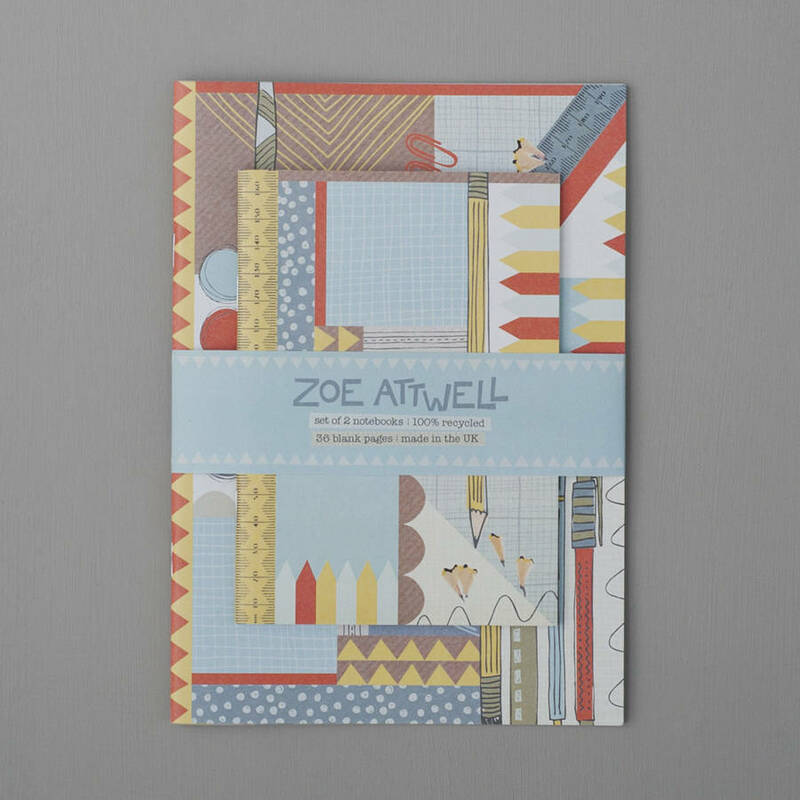 This product is dispatched to you by Zoe Attwell.